About a year ago, I made the ultimate decision to sell off my bike as I’d made up my mind to purchase a proper, ‘daily-commuter’ bike. 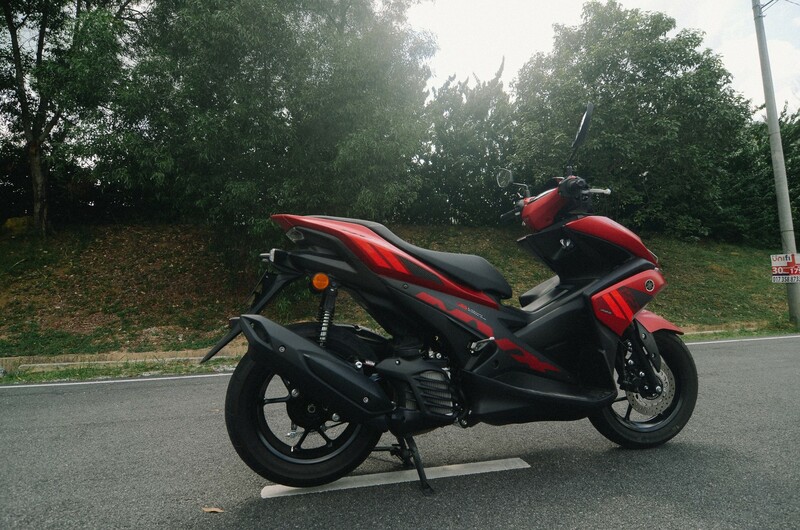 However, the purchase was delayed, while I was busy deciding what to get, and it didn’t help that bike after bike was being launched, be it locally or regional, and none of them seriously piqued my interest and requirement. So, eventually, for a year I had no bike to ride apart from the ones I reviewed from time to time for LYN Cars. Well, last year during the Sepang MotoGP, I had the Vespa Sprint Adventure for a while, as you know that scooter has ABS upfront and I tested the ABS on wet roads and found that insofar as scooters and cubs/kapchai are concerned ABS is very helpful in wet situations, unlike the common assumption out there that says ABS is unnecessary for small bikes. That was the time I said, “I have to buy a bike with ABS, even if it’s only in the front” However, the Vespa Sprint was out of my budget at the time. So I waited… and waited. 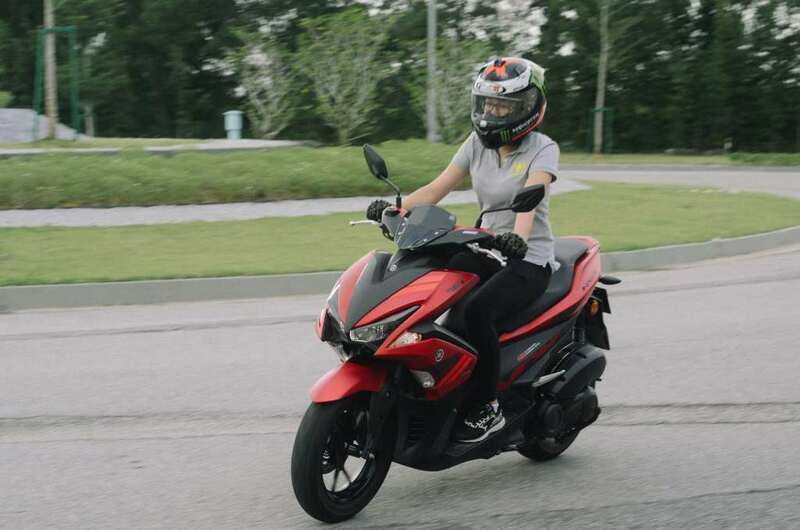 At the same time during MotoGP in Sepang, the local media including those from Thailand and Indonesia were then invited to the inaugural regional launch of the new YAMAHA AEROX / NVX 155. 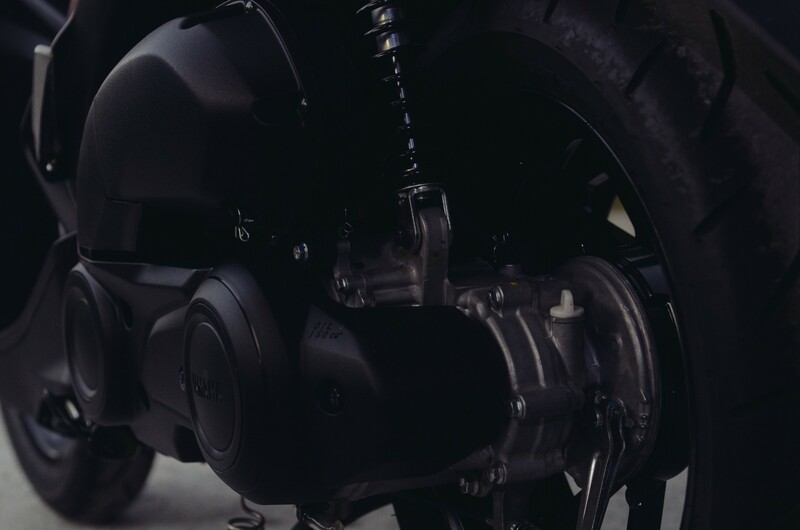 The bike’s specifications were first introduced and listed and THAT made the AEROX a “must get” and when the bike was unveiled by Valentino Rossi himself, I fell in love – with the scooter of course! And that was also the moment I said to myself, “I gotta get myself one of this.” And I hadn’t even tested it yet. However during the slide presentation there was no mention of Malaysia getting the bike in 2016 or 2017. 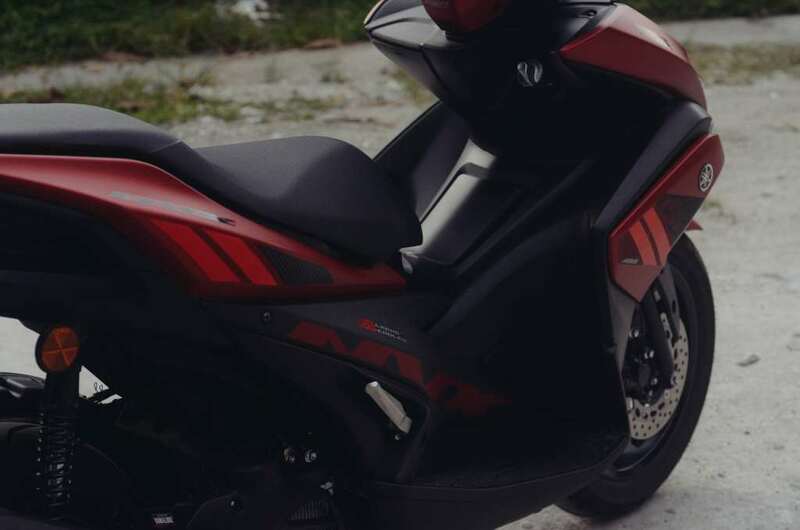 I was a bit saddened but then I recalled the YAMAHA NMAX review I did, in which I said I would get myself one… would it be the NMAX instead then? 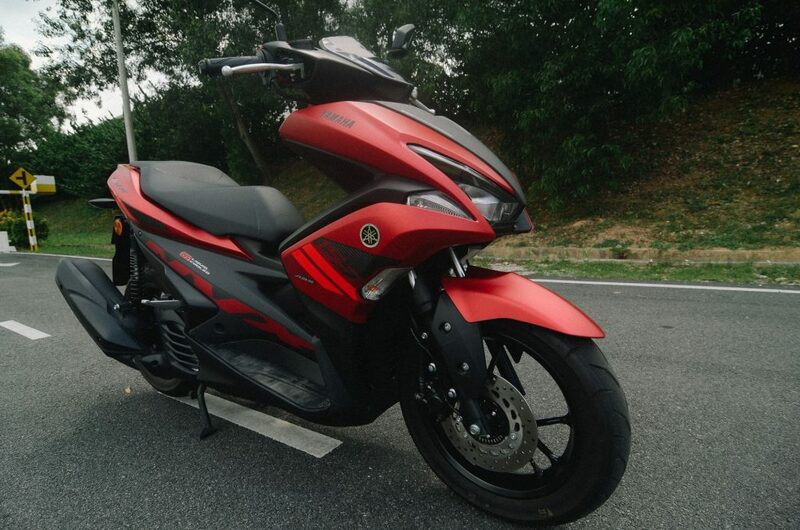 I looked up listings on the internet for NMAX, there were used bikes on offer from the NMAX owners group as well, and I found a suitable candidate somewhere in Johor. 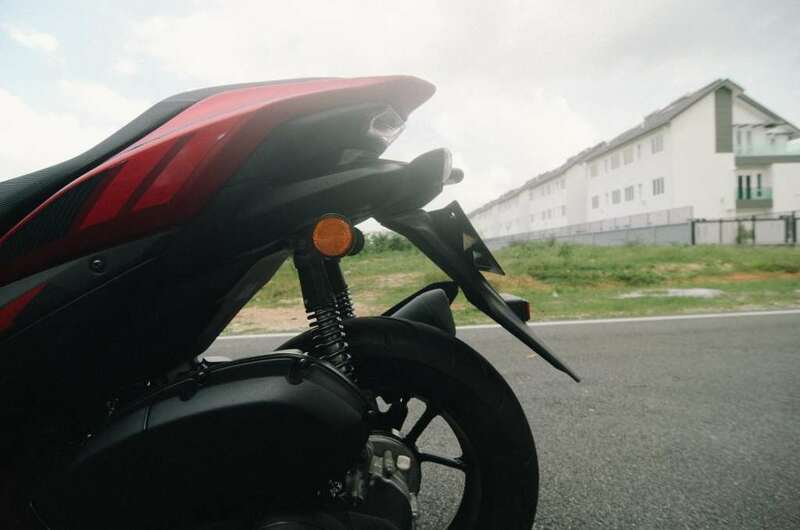 RM 7,500 for one clocked less than 10,000km. Why not? I decided to wait it out since the launch was only in one week’s time, plus a friend in the media was hinting to me to wait as well, since he knew I was probably going to buy the aforementioned NMAX. 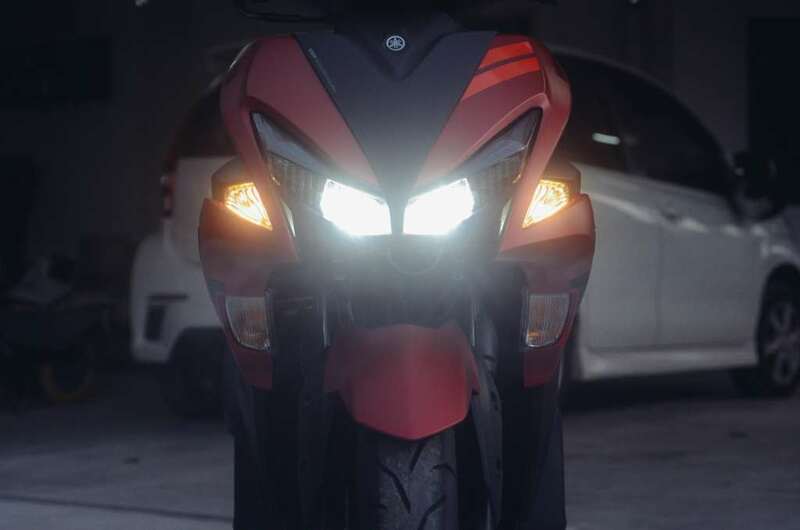 She asked why would I not want to review the bike first before buying, and I said, I have trust in Yamaha on this NVX model. I then received a quotation, paid for it and got my bike in two weeks’ time, and I have been told I am the first and only person from the media (local) who bought the bike. I was actually pretty desperate for a bike but looking for one that actually matches my persona, that doubles as daily workhorse, as well as my weekend rides. Now let us get down to the review of this motorcycle. 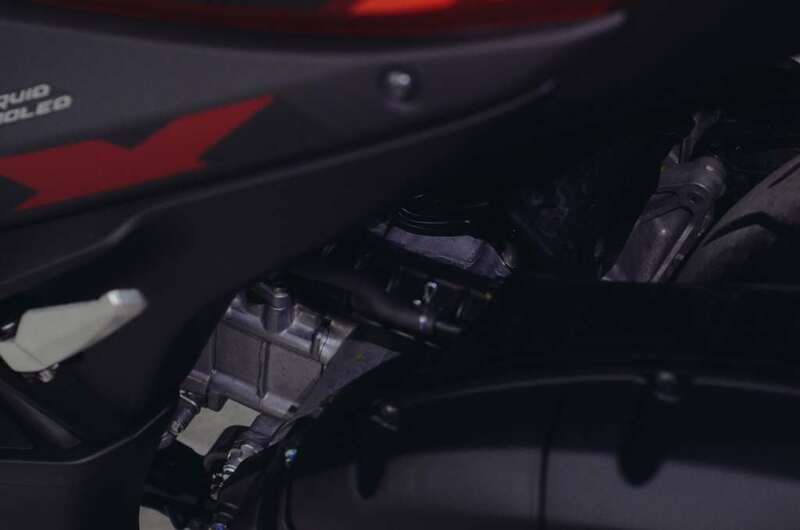 The engine outputs the same amount of horsepower as its sibling, the NMAX, 14.8hp at 8,000RPM, but it is claimed that the engine is tuned to be more torquey than the NMAX. 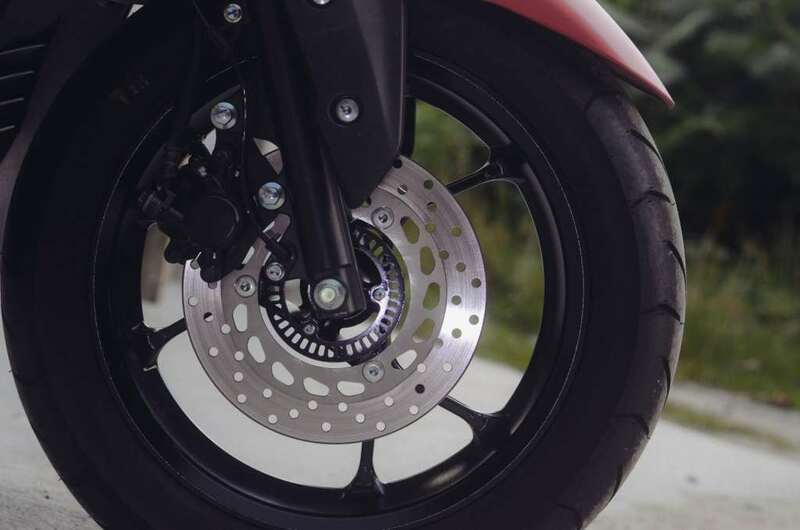 Sure enough the extra torque output is useful in town rides, making acceleration and lane filtering a lot easier. It is also very nimble thanks to the bigger fourteen inch wheels and that low weight, so lane filtering with the NVX is really effortless. 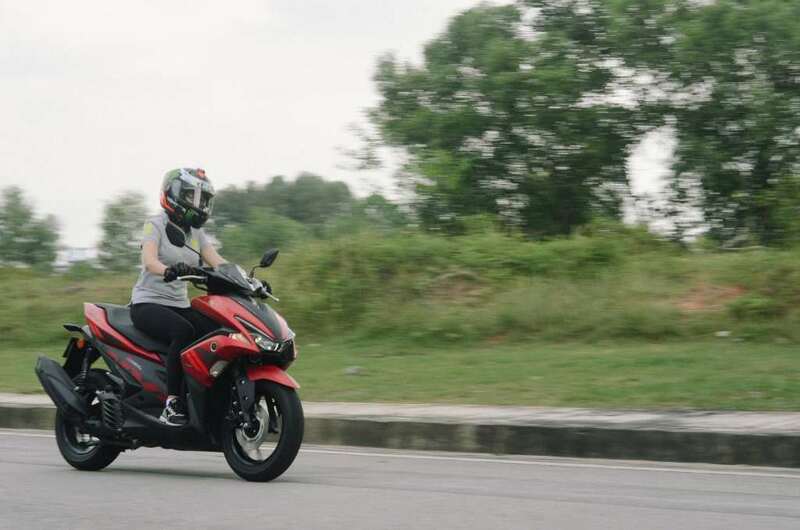 On the same KESAS highway on which I tested the NMAX, I was also able to achieve the same top speed on the NVX, around 130kmh. The bike however has no issues with weight when I have a pillion riding along. There is also very minimal vibration felt at cruising speed, around 80kmh, providing that the RPMs are maintained between 5,000 and 6,000. 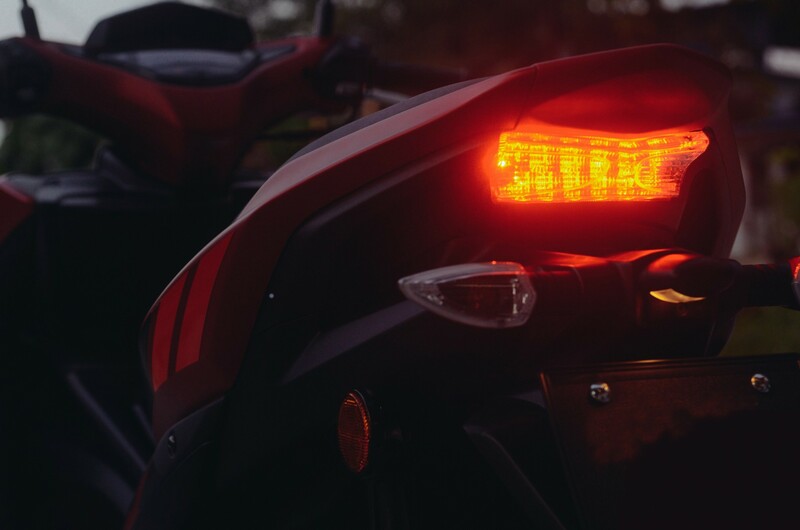 The VVA indicator comes on when the engine achieves 6,000RPM and goes off when the RPM drops to 5,500. In town with heavy traffic or at traffic lights with long waiting times, the auto stop-start mechanism only triggers after 30 seconds or so and is ‘permanently’ active thereafter; unless the stop-start is switched off and on again, the mechanism will need to be triggered again by coming to a halt for 30 seconds (without the need to turn off the engine). 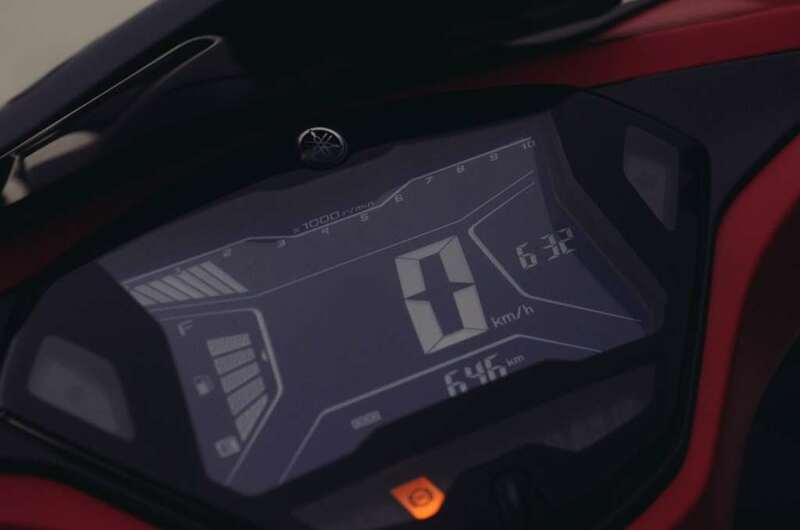 The NVX is also equipped with an LCD instrument cluster, which displays a tachometer, clock, speedometer, fuel indicator, odometer, trip-meter, battery voltage, it is just about the best-looking thing you can get for a small capacity underbone automatic moped (kapchai) in Malaysia. 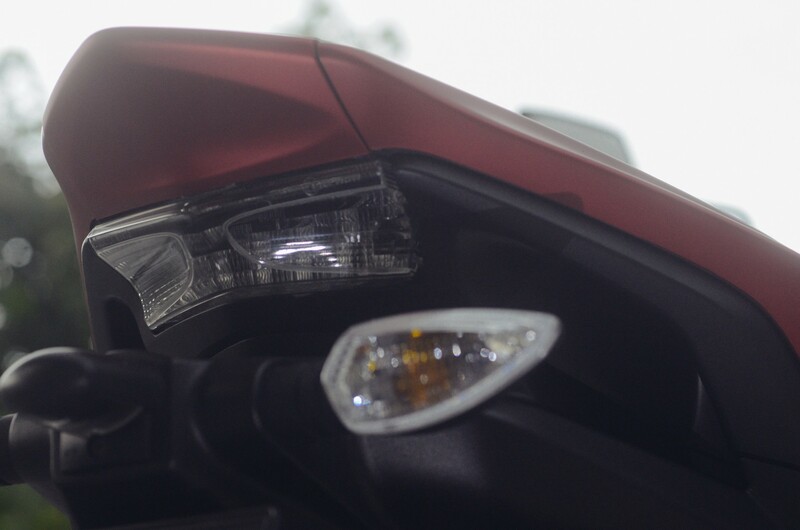 Plus the aggressive and sporty styling is just so appealing to many youngsters, or even those who are young at heart. 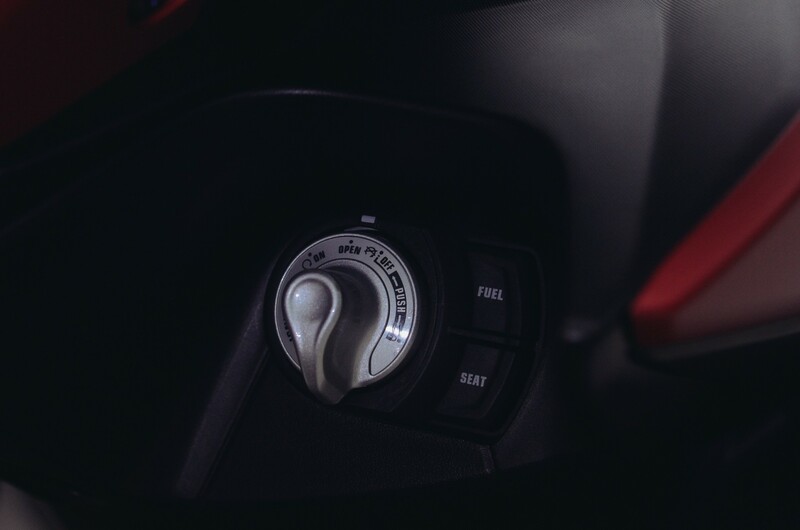 The NVX155 also comes equipped as standard (for our market) with keyless-go, along with ABS brakes in the front as well, which is one of the main reasons I bought the NVX. 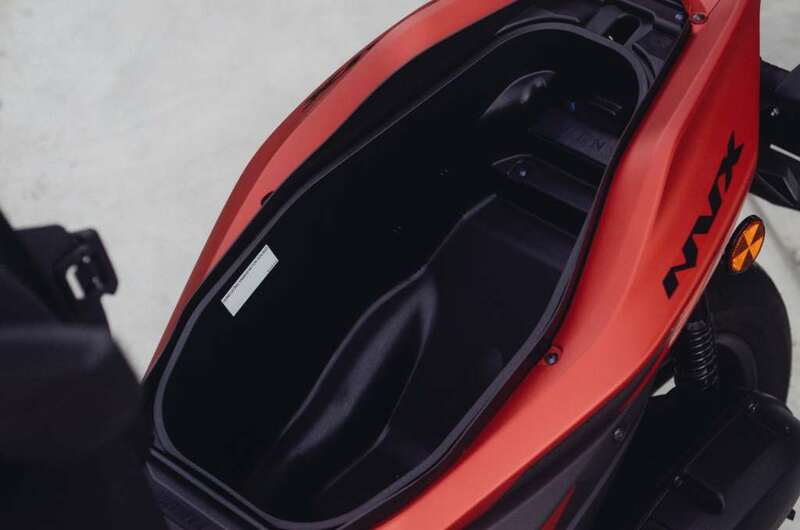 The underseat compartment is a standard 25 litre space, enough to store a full face helmet and two sets of raincoats. That’s generous. If I were to add a top box at the back, I can go for a long distance ride easily without needing to worry about insufficient space. Worth mentioning is also the comfort factor. 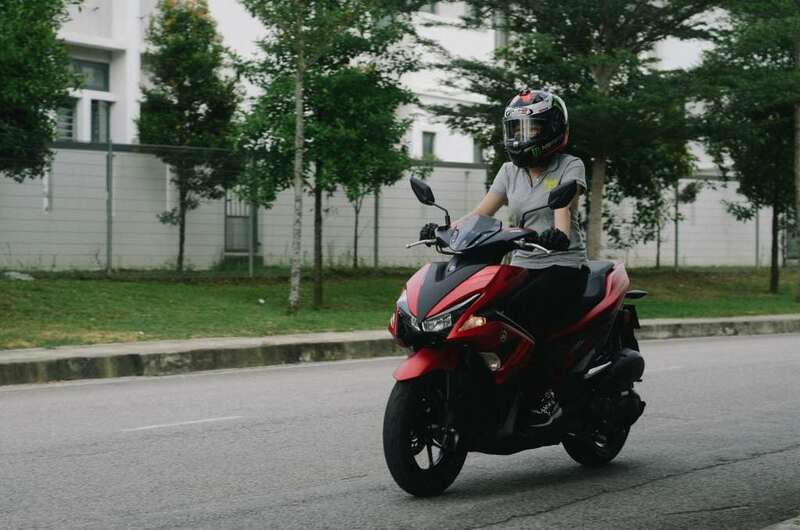 The suspension seems to be softer compared to the NMAX, however, the seat is not as wide as the NMAX and for the rider, you can’t stretch your legs forward, so for long rides you may need frequent stops to stretch. 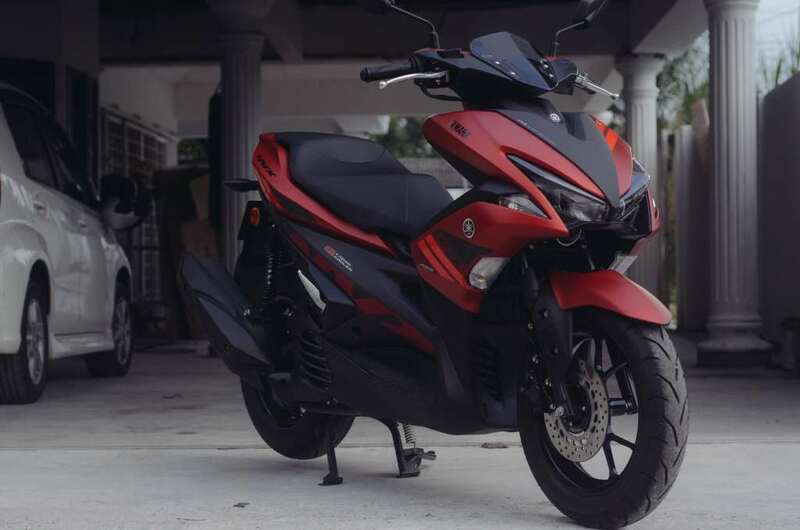 Fuel economy is about the same as the NMAX. 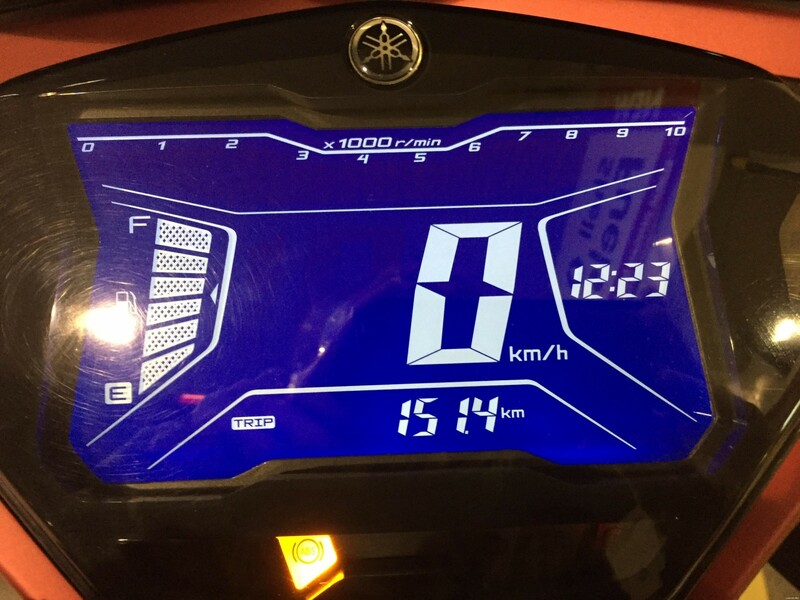 For a full-tank, I was able to achieve 151km before refuelling but that was when I had two bars left and I went bonkers with the throttle, if I had not I would have probably attained an additional 20-30kms – and that is quite close to the claimed 2.2 litre/100km HLYM was telling us about. To be precise, I fuelled up when it was blinking, I managed to get 3.8 litres of fuel into the tank (to the brim). 151 kilometres to 3.8 litres consumed is about 2.53 litres per 100km. But therein lies the downside to this bike; the tank is small. If I were to go out of town, I would carry my jerry-can with me, just in case. 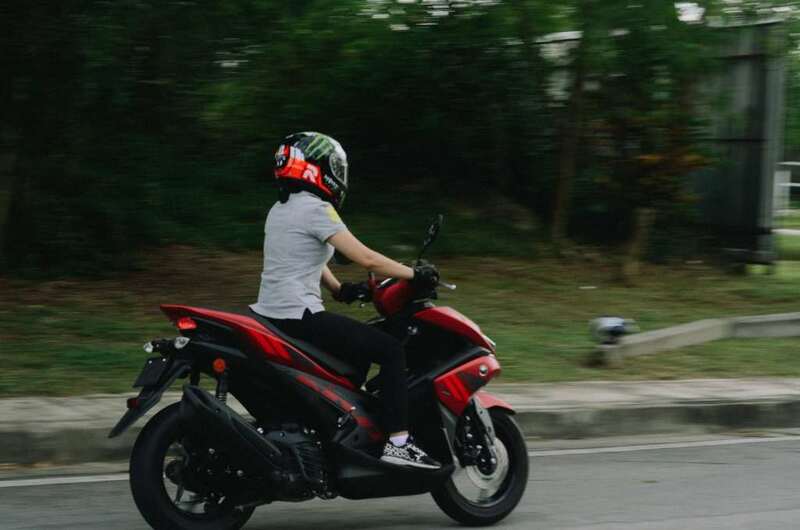 I really cannot think of anything that’s bad about it just yet, maybe just another annoying thing is that when the bike has consumed about 1 litre of fuel, two fuel bars would be missing. Thereafter though, the bars remain longer. 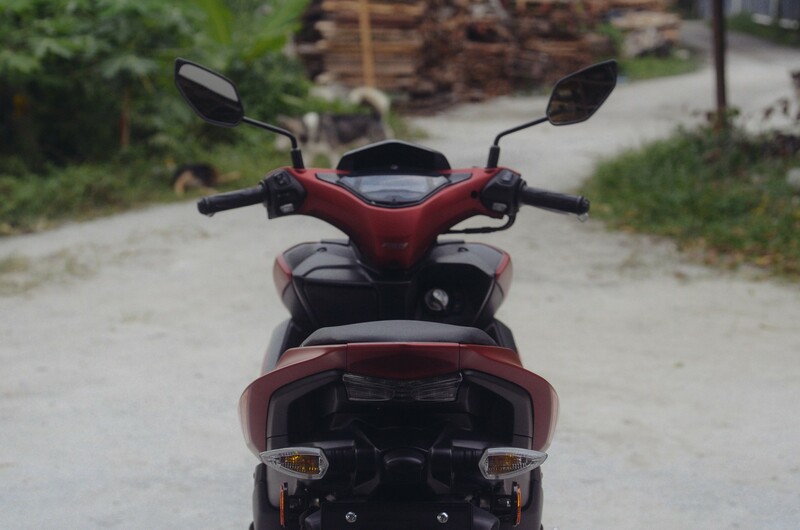 In conclusion, as an owner of this bike, I would say this is the best bang for your buck if you’re looking for a daily-workhorse that comes with ABS brakes, plus a striking & sporty design for weekend rides. The YAMAHA NVX 155 is available in dealers nationwide, priced at RM 10,500.00 including GST, but excludes road tax & insurance. 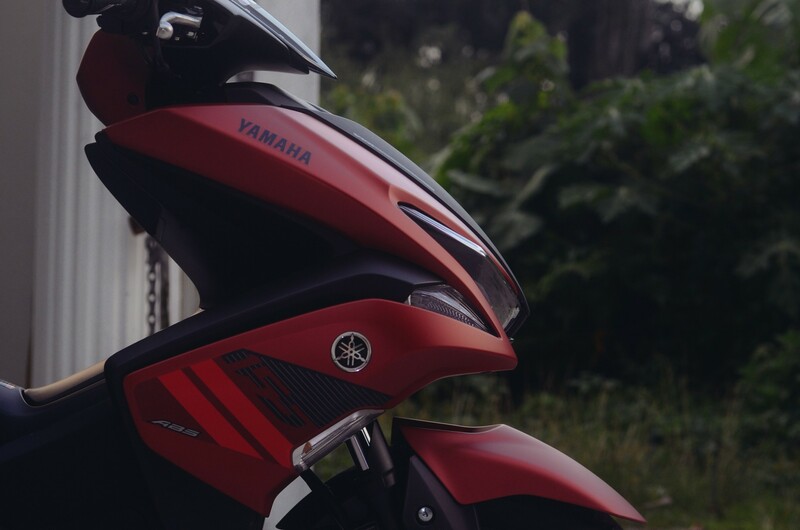 It is available in Black, Yamaha Blue, and Matte Red. – Jeff Ng.